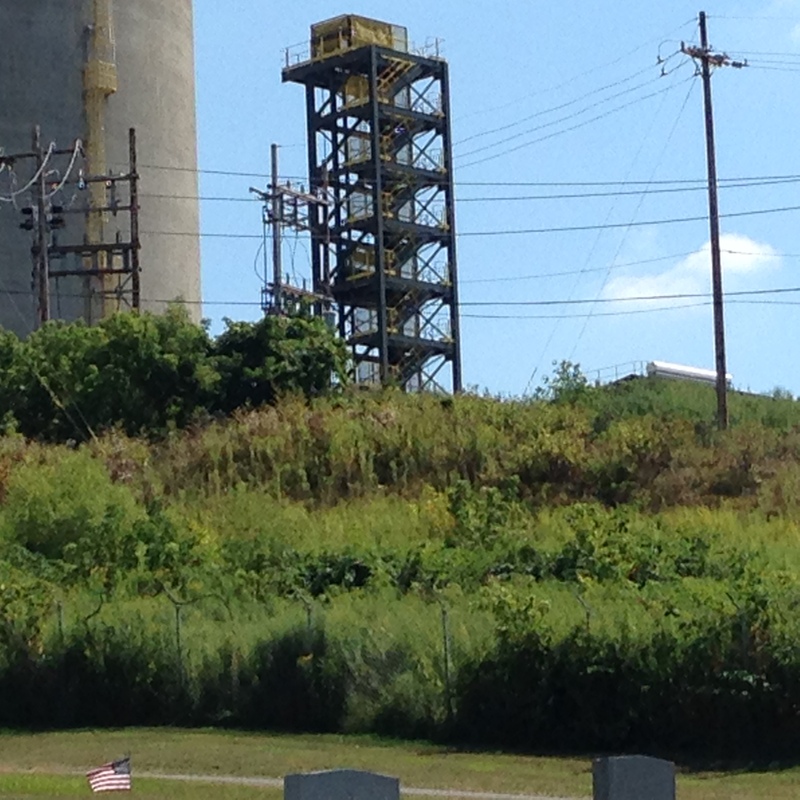 Ryerson State Park – A Cautionary Tale | Patricia DeMarco Ph.D.
Longwall mining from the Bailey Mine Complex has stamped its mark on the land in Greene County. People here cling with fatalistic resolve to an industry and a way of life that consumes and destroys the land in its wake, leaving a three thousand acre permanent scar on the green hills, “dewatering” streams and lakes, and displacing communities with Coal Refuse Disposal Areas…formerly verdant valley towns now filled or destined to be filled with rock and coal waste slurry from processing facilities. Ryerson Station State Park has lost its Duke Lake from mine subsidance that destabilized the dam. 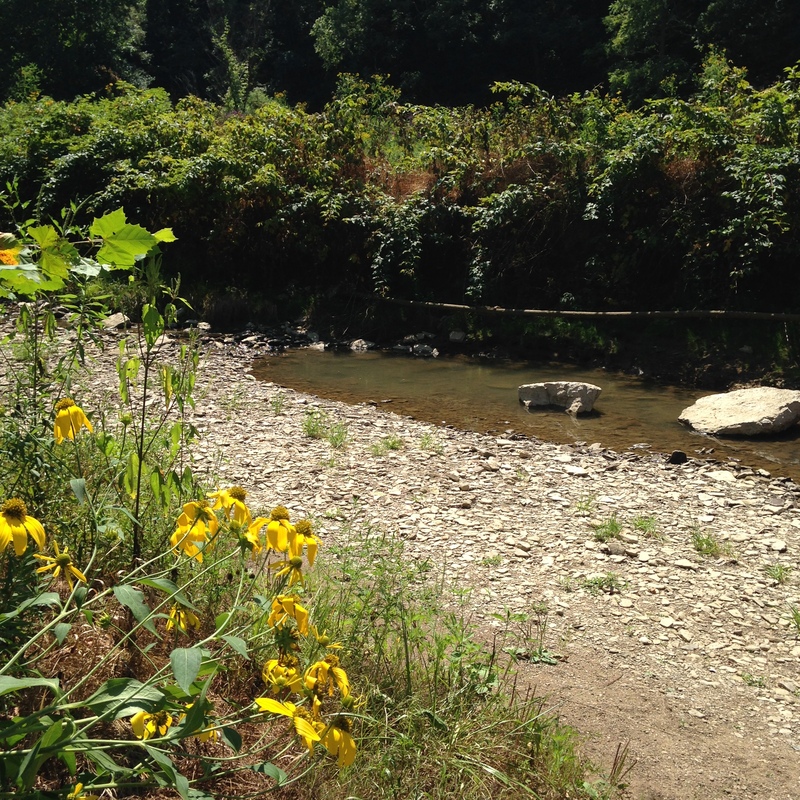 Now the tributary of Dunkard Creek North Fork that offers trout fishing and a high quality stream habitat in the park is threatened by further permitted longwall mining moving into this area under the park, which is likely to “dewater” the creek. Preserving natural habitat as well as resources that can support a diversified economy and better quality of life is important in restoring a more resilient and sustainable community. 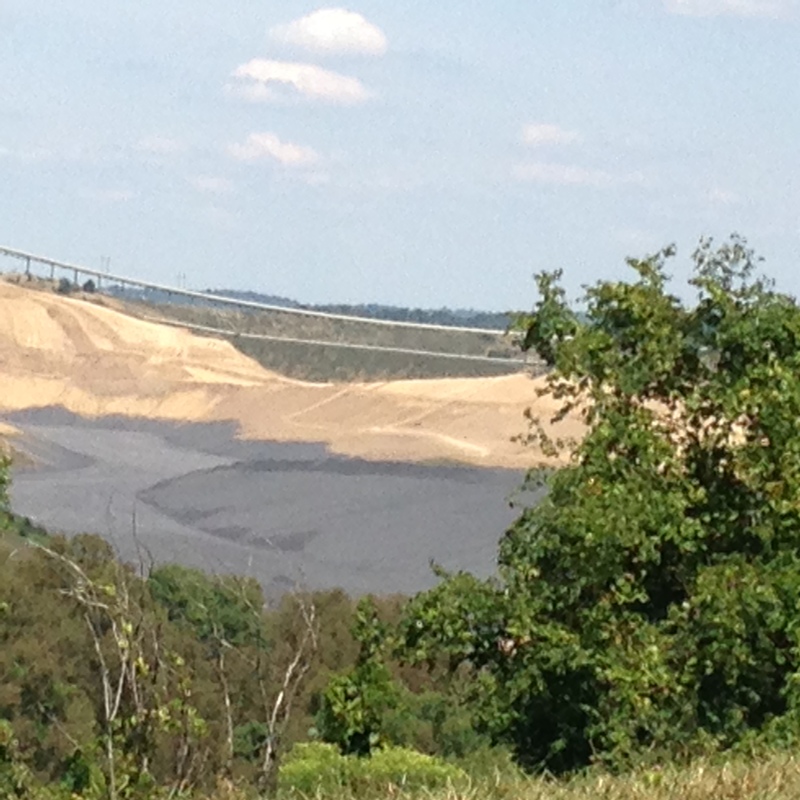 My heart aches for the green hills and for the people and other living creatures tied to this coal mining process by tradition and the accident of birth into an area undermined with seams of fossil deposits. Beautiful green valleys are targetted to be filled with Coal Refuse Disposal Areas. As we burn coal to power the present, we are consuming the past and poisoning the future. We can and must move to a more sustainable energy system. The transition to a fossil-free energy future must attend to the needs of the communities, workers and people. It must attend to restoring the land. 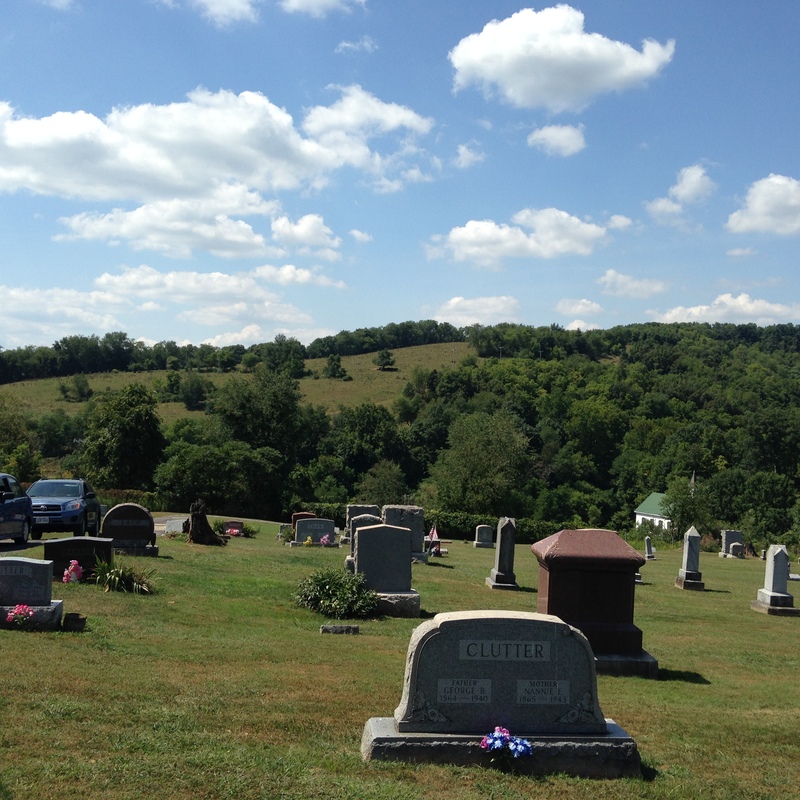 Graves of the people who lived in this valley for years as cattle farmers and dairy farmers in Graysville PA face the hills once farmed and grazed. 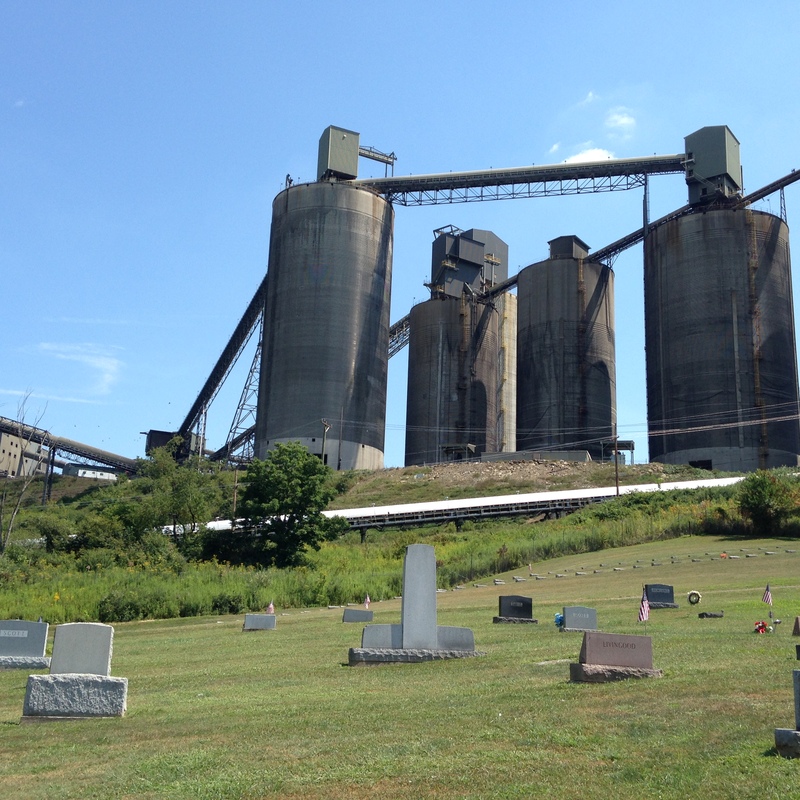 The same graveyard is overshadowed by the Bailey Mine Coal Prep Complex, a 100 square mile operation for the largest longwall mine in the world. The land and the people here deserve a better fate. 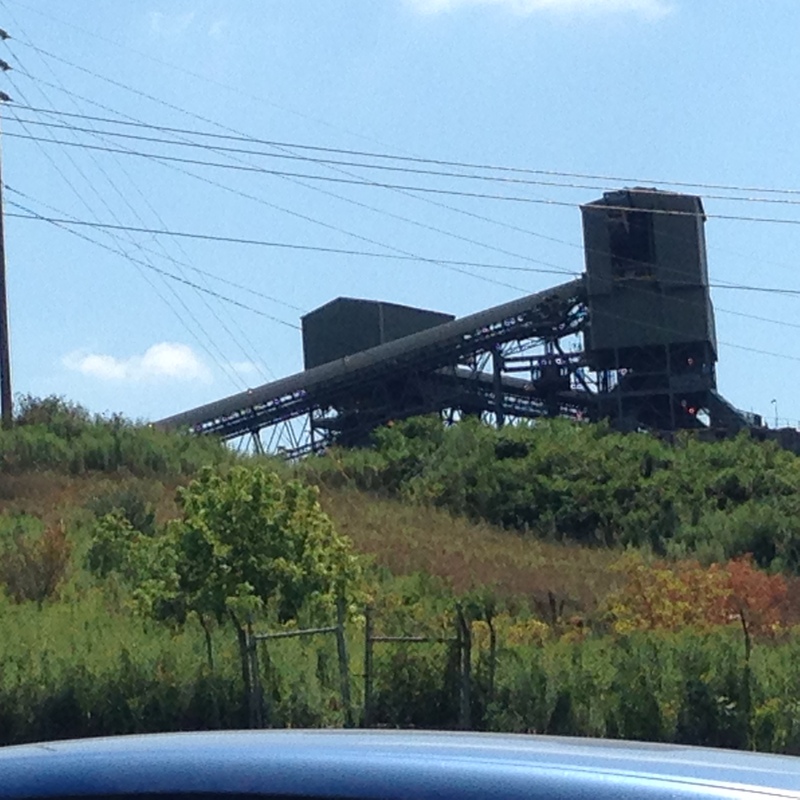 Categories: Uncategorized | Tags: coal refuse disposal areas, coalfield justice, longwall mining, preserving natural resources, Ryerson Station State park | Permalink.